We Proudly Provide Charging System Diagnostic & Alternator Replacement Service Throughout The Entire Des Moines Metro Area and Suburbs. We Are Your Local Car & Truck Alternator Experts of 'West Des Moines, Iowa' & All Surrounding Communities In Central Iowa Including But Not Limited To~ Des Moines, Adel, Booneville, Martensdale, Ankeny, Altoona, Carlisle, Pleasant Hill, Waukee, Norwalk, Urbandale, Clive, Johnston, Grimes, Windsor Heights, Beaverdale, & MORE! Fast T's Mobile Battery & Charging Systems Diagnostic, Repair, and Service Of West Des Moines, Iowa, Is Your Local Car & Truck Charging Sytems Diagnostic, Repair, & Battery Replacement Experts. Fast T's Will Quickly Respond To Help Assist You, With Your Dead Car or Truck Battery, Alternator Malfunction, Or Both. Our Award Winning Charging Sytems Diagnostic, Repair, & Battery Replacement Service, Combined With Our Large Network Of Auto Parts Suppliers Means Your Automotive Problem Is Solved, And You Will Soon Be Having A BETTER DAY! ​All Repairs Include Parts Replacement Warranties, Except When Used Auto Parts Are Requested By Customer. Used Automobile Parts Come With An Inherent Risk, And Customer Assumes All Liability. New Car and Truck Parts Are Preferred, and Recommended For Most Automobile Repairs. "Put your mind at ease with Fast T's!" Fast T installed his first alternator with his Father when he was only 9 years old; a fascination with automotive repair was then born in a young boy! Today 30 years later, the fascination is still going strong in Fast T, the result- Fast T's Mobile Auto Service & Roadside Assistance of West Des Moines, Iowa is certified in all things Automotive, and Roadside! ​Fast T's Mobile Auto Repair Technicians are not only required to be ASE Certified, but are also required to be dedicated, experienced, professional, passionate about their trade; most importantly of all, they must possess a World Class Level of Professionalism, Hands On Experience, and superb Customer Service abilities. ​Fast T's Mobile Auto Charging System diagnostic and repair, will perform rigorous multiple level diagnostic testing, to ensure the proper repair is recommended and performed on your car or truck, at your location; it will be more cost efficient, and will be performed at your vehicles location, with no need to be present. Allowing you to do the things that are important to you, and have your vehicle repaired with conventional and innovative peace of mind. ​What sets us apart from our competitors, is "Fast T's Industry wide known "Conveniently Affordable" pricing, our Expedited Service, & our consistantly Award Winning level, of Customer Service Satisfaction! ​Fast T's Mobile Auto Service will quickly respond with expedited urgency, to professionally diagnose your charging system problem. 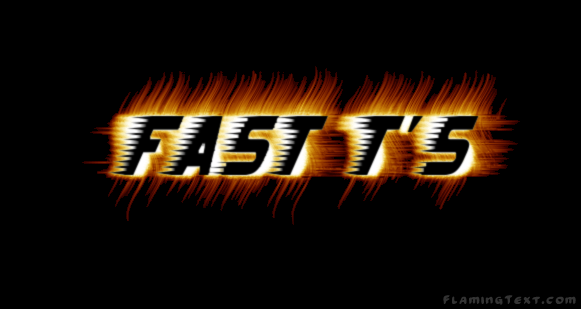 Fast T's has the right tools, and equipment at their disposal, to properly diagnose, and repair your car or truck; you will "Quickly Be On The Road Again In No Time, At An Affordable Price! " Fast T's Mobile Charging Systems Diagnostic & Service Does! 12,000 Mile/2 YEAR PARTS REPLACEMENT WARRANTY AT NO COST! Free Replacement Warranty Is Available on Batteries, alternators, and all parts installed by Fast T's. 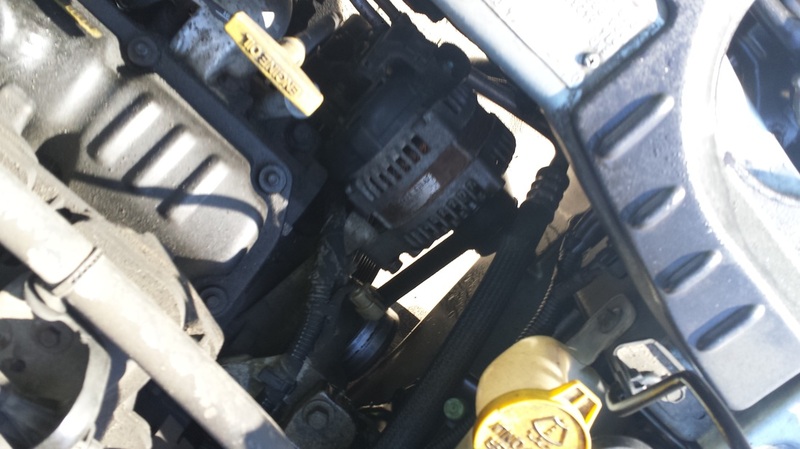 We Replace Alternators and Diagnose Charging System Problems, Repairing Cars and Trucks In West Des Moines, Iowa 50265-50265 & All Surrounding Communities In Central Iowa Including But Not Limited To~ Des Moines, IA. Adel, IA. Ankeny, IA. Altoona, IA. Carlisle, IA. Pleasant Hill, IA Waukee, IA. Norwalk, IA. Urbandale, IA. Clive, IA. Johnston, IA. Grimes, IA. Windsor Heights, IA. Beaverdale, IA. Bonneville, IA. & MORE! Diagnose Your Alternator Problem & REPAIR IT! CLICK NUMBER TO CALL NOW! Have Fast T's Car And Truck Charging Systems Diagnostic Replace Your Old, Under Powered, Or Bad Alternator. You Will Be Back On The Road In No Time, At An Affordable Price! 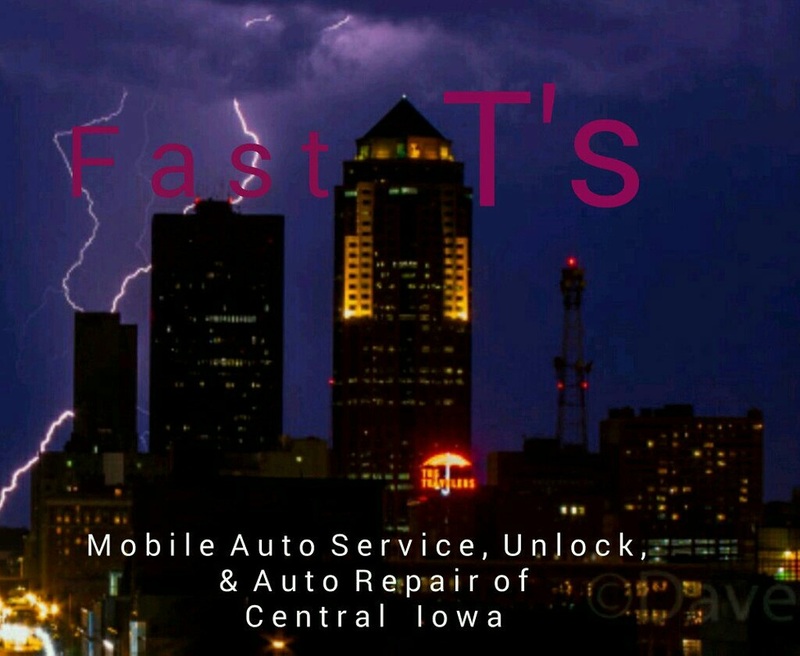 Fast T's Charging Systems Diagnostic & Repair Experts, Are Always Available To Quickly Arrive At Your Location Any Where In The Entire Des Moines Iowa Metro Area. Fast T's Alternator Diagnostic & Replacement Service Repair Your Car Or Truck. We Have Been Changing Alternators On Engines For Over 30 Years! Fast T's Expedited Mobile Repair Service, Is Your Local Car & Truck Alternator Professionals! Serving West Des Moines, Iowa and The Entire Des Moines Metro Area and Suburbs Including Waukee, Clive, Johnston, Grimes, Windsor Heights, Urbandale, Adel, Booneville, Norwalk, Martensdale, Beaverdale, Windsor Heights, Ankeny, Altoona, Pleasant Hill, Carlisle and More In Central Iowa.